Our new friends at shirt people Arthur & Henry kindly informed us of some neat British-made accessories they're stocking from Well & Truly. 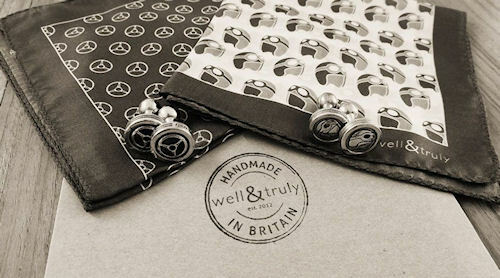 With wheel and helmet designs, the Well & Truly's silk pocket squares and brass cufflinks take the golden age of British motor-sport as inspiration. These accessories could sell well at the Goodwood Revival. The silk squares are printed and made in Maccelesfield, England - the traditional silk-making town. Macclesfield was once the world's biggest producer of finished silk and the name is still synonymous with fine silk products. 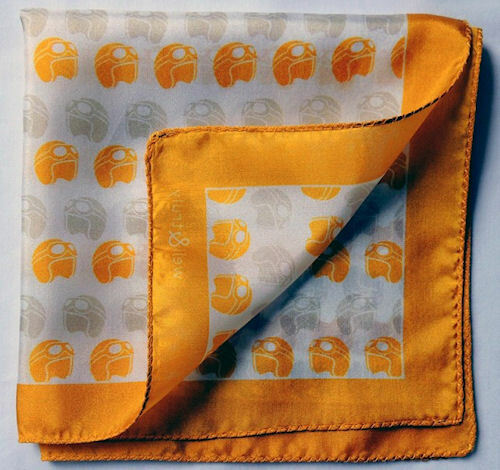 The pocket squares have hand-rolled and stitched edges, which is a requirement for any self-respecting pocket square. The brass cufflinks are cast and hand-finished in England. 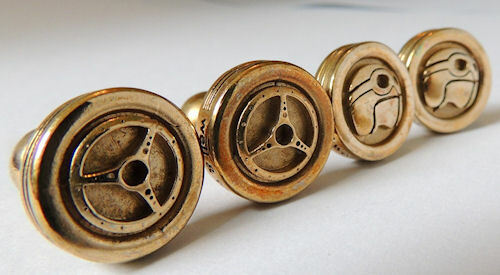 The more earthy brass probably looks better than gold poking out of the sleeve of a tweed jacket.